The iPod shuffle did away with the display (and celebrated randomness). January 11, 2005: Steve Jobs introduces the world to iPod shuffle, an entry-level music player that lacks a display. The device randomly shuffles the audio files it holds, but lets users easily skip songs they don’t like. The first iPod to use flash memory, the iPod shuffle plugs directly into a computer using onboard USB 2.0 and comes in 512MB and 1GB configurations. Oh, and it’s smaller than a pack of gum — and weighs less than an ounce! Playing songs in a random order doesn’t sound like much today. In fact, when the iPod first made waves, cultural critics tripped over one another to wax lyrical about how iTunes and the iPod had forever disrupted the tyranny of the album. Suddenly, there was no set way to listen to your songs. Previous iPods came with a random shuffle feature, which inspired laudatory essays in everything from The New Yorker to The Guardian. Michael Bull, a professor of sound studies, proclaimed that shuffle mode turned the iPod into an “Aladdin’s Cave of aural surprises.” Journalist Steven Levy even published his book celebration of the iPod, The Perfect Thing: How the iPod Shuffles Commerce, Culture, and Coolness, with the chapters in a random order to reflect the feature. 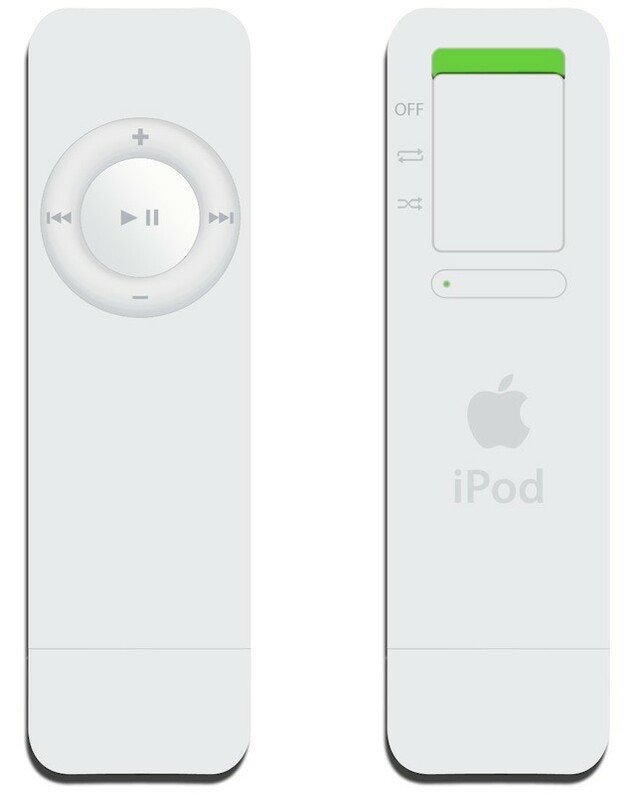 From Apple’s perspective, building the iPod shuffle around the such a randomizing feature solved a big problem: How do you shrink the iPod past the point at which a display wouldn’t make any sense? The gutsy decision to ditch the iPod display proved Apple’s willingness to take risks in the name of progress and minimalism. This didn’t come without problems, however. Some users’ first-gen iPod shuffles stopped working and flashed orange and green — with no display to explain the problem. Documentation suggested only that an “error” had occurred. That meant users needed to take their devices to an Apple store rather than solving the problem themselves. Nonetheless, the iPod shuffle became a massive hit for Apple. At peak production in 2005, Apple supplier Asus’ factory churned out 100,000 units a day. Prices ranged from $99 to $149. That brought the iPod — which in 2001 cost a minimum of $400 — to a whole new customer base. Did you own the first-gen iPod shuffle? What’s your favorite iPod in history? Leave your comments below.